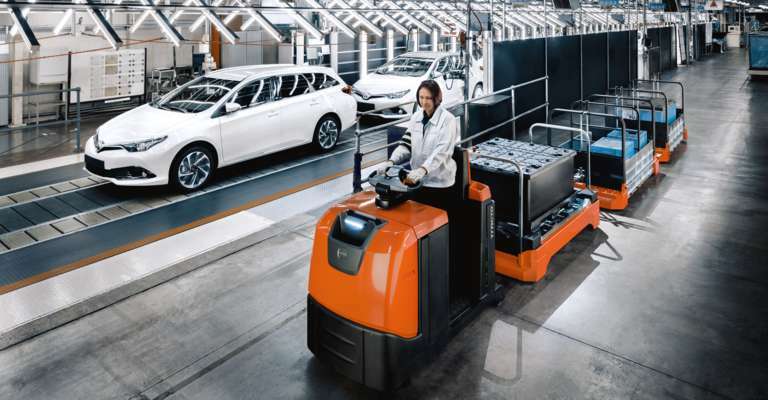 Toyota Material Handling will be showcasing a range of products which help to increase pedestrian visibility and reduce manual handling at the Safety and Health Expo on the 19th – 21st of June at the ExCEL in London. 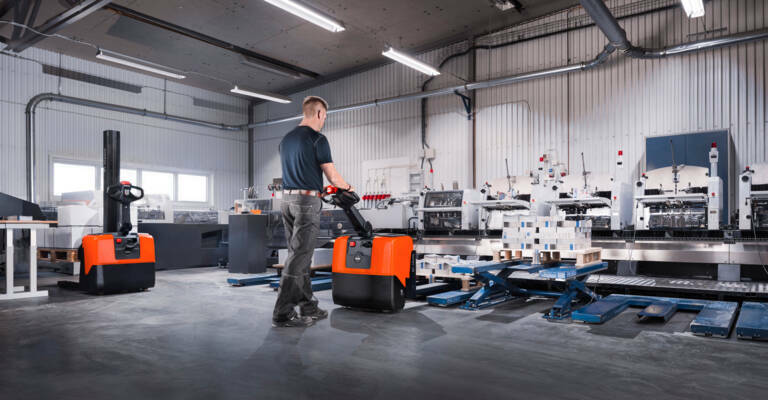 Located on stand S130, Toyota Material Handling will be displaying a range of counterbalance forklifts, pallet trucks and towing trucks that include a selection of features and additional systems to help improve pedestrian awareness of equipment. There will also be a team on hand to provide advice and guidance along with free safety resources for visitors to the stand who use materials handling equipment. 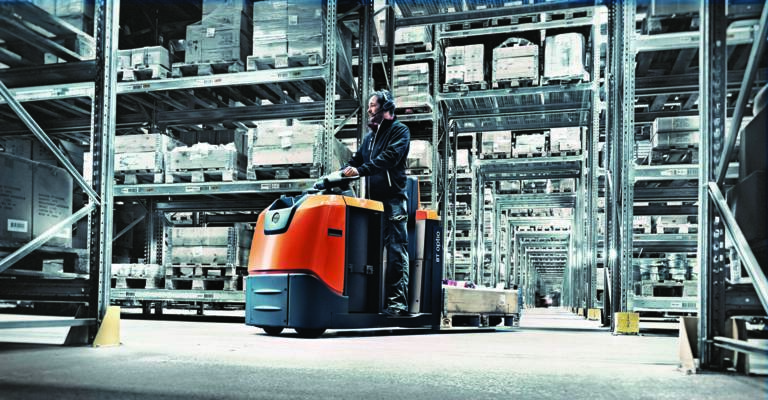 On stand will be the Toyota Traigo 48 electric counterbalance forklift fitted with a Blaxtair anti-collision camera, front and rear blue safety light and red pedestrian proximity lights. All of these features help to improve the visibility of the truck to pedestrians and the visibility of potential obstructions to the trucks operator. 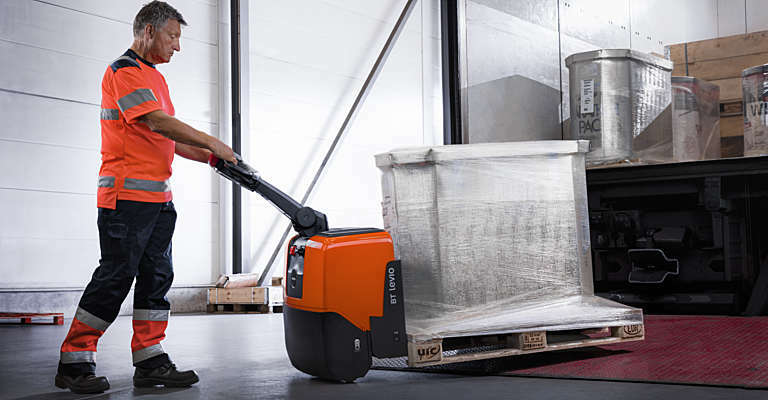 Along with this truck will be the BT Pro Lifter hand pallet truck (LHM230QP) which has been designed to reduce manual handling effort by up to 67% when moving heavy loads. This truck will be in a designated demonstration area to highlight the trucks innovative features..
Additionally, Toyota will be showcasing the Toyota Tracto TWE080N pedestrian tow tractor with roll cage at the show; designed for easy movement of load carriers, it reduces the need to move roll cages by hand, avoiding injuries such as trapped hands and feet. The free safety resources available include forklift safety guides, manual handling guides and a number of best practice posters. 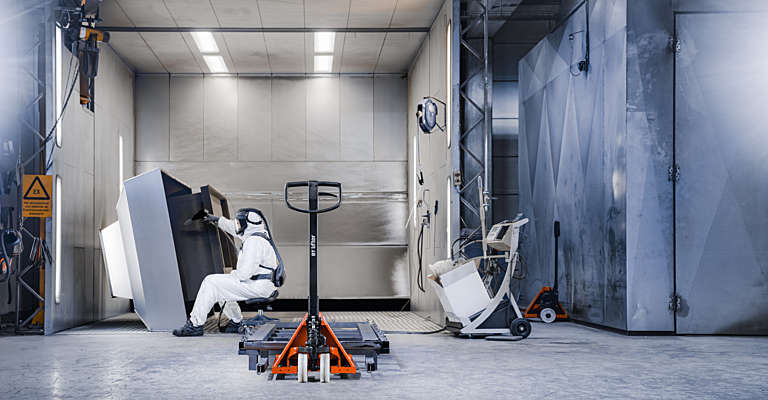 Toyota team members will be present to talk to visitors about their materials handling operations and provide them with advice on which trucks may best suit their operation. Jon Buckley, Commercial Director at Toyota said “with our commitment to innovation we are continuously looking at ways to improve workplace health and safety for our customers and provide industry leading support in this area. Attending events like the Safety and Health Expo provide us with the opportunity to showcase our expertise in this field along with our selection of industry leading products”. Visit Toyota at the Safety and Health Expo (Stand S130) on the 19th – 21st June 2018. To find out more call 0370 850 1409 or visit www.toyota-forklifts.co.uk.